A generous glass area makes the 2-panel and 3-panel sliding windows a longtime favorite for enjoying an unobstructed view of the beautiful outdoors. Our multi-chambered and foam filled frames create high-performance vinyl replacement windows that are engineered for a lifetime of performance. Our window design includes other great features such as: hidden screen track, double barrier weather stripping, nylon encased dual brass roller system and theft deterrent locks. In other words, our replacement windows are built to last and look great doing it. In Need of New Windows For Your Home? 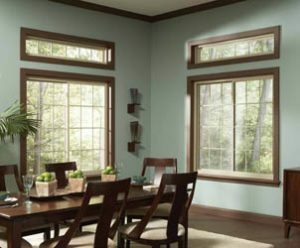 At West Knox Windows and Siding, we are proud to offer replacement windows of all kinds. Regardless of what you’re looking for, you can count on our team of experts to be friendly and professional from the moment you get your free quote to the time that your new windows are installed. If you’re looking for a window installer in Knoxville to provide you with new sliding windows, look no further because we’d be glad to help make sure you get exactly what you need for your home.